Napa Valley, CA – The National Auto Sport Association (NASA) is pleased to announce that Toyo Tires® will return next season as the Official Tire of NASA. The recently signed agreement names Toyo Tires the Official Tire of NASA through the 2020 season and also ensures NASA competitors will benefit from the industry leading contingency program pioneered in NASA during this next 5-year term. Toyo Tires has been the Official Tire of NASA since 2002, a 13-year tradition of supporting NASA Competitors and their teams with its Proxes® line of competition tires. The Toyo Proxes® RR two-groove DOT competition tire is the spec tire for several classes in NASA, including: Spec Miata, Spec Iron, Honda Challenge, Spec E30, the recently added Spec E46, and the revolutionary new NASA Prototype (NP01). The NP01 represents the pinnacle of the NASA Pro Racing classes; featuring identical 2-liter Mazda powered prototype race cars which weigh in at only 1,450 lbs. Toyo Tires has also added the successful Spec Z class for Nissan 350Zs to the list of spec classes. As a part of the contract renewal, Toyo Tires continues its support as presenting sponsor for the NASA Championships -- both the Western States Championships, and the Eastern States Championships. The company also supports the 25-Hours of Thunderhill™, the longest endurance road race in North America, with its fully stocked hospitality rig which provides complimentary tire mounting and balancing services and catered meals to competitors using Toyo tires. "NASA and Toyo Tires have enjoyed an illustrious and lasting relationship together and we couldn't be more thrilled to extend that relationship for another five years," said Jeremy Croiset, NASA Director of Business Development. "NASA members have benefited greatly from the fantastic partnership program through millions of dollars in contingency offers paid out and the creation of the best Spec Tire the industry has seen in over two decades. We look forward to a bright future together with Toyo Tires." CYPRESS, CA – Toyo Tires®, the Official Tire of NASA, returns with its support of the 25-Hours of Thunderhill™ December 5-6 at Thunderhill Raceway Park in Northern California. Celebrating its 13th year at the Official Tire of NASA, Toyo Tires will once again provide an industry-leading on-site hospitality program for qualified competitors using Toyo® Proxes® tires. The 25-Hours of Thunderhill is held annually by the National Auto Sport Association (NASA) and is considered the longest endurance road race in North America. Racers travel from around the continent to compete in this prestigious event. This will be the fourth consecutive year that Toyo Tires will have its VIP rig on-site to provide free meals at the track on Friday through Sunday. Registered participants will also receive free mounting and balancing services from Thunderhill AIM Tire on all preorders and via trackside service at Thunderhill Raceway Park from December 4-6. 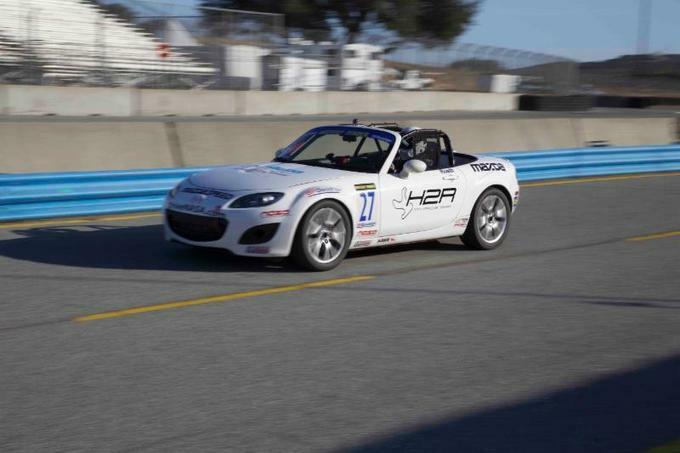 "The support Toyo Tires gives competitors at the NASA 25 hours of Thunderhill presented by Hawk Performance is unmatched," said Jeremy Croiset, NASA's Director of Business Development. "The race has quickly grown to become the preeminent pro-am endurance race in North America. It is fantastic to have Toyo on board again this year to support competitors who choose the Toyo Tires brand, as they seem to really appreciate it." The program applies to racers using the Toyo Proxes® RS1™ full-slick, the Proxes® RR DOT competition, and the Proxes® R888™ tire in dry conditions; while the Proxes® R1R™ and Proxes® RA1™ are approved for wet use. Space for this special program is limited. Racers must register for the VIP hospitality at toyotires.com/races-and-places/racer-direct-program and tire purchases must be made through one of the following dealers by November 27. Napa Valley, CA (September 24, 2015) - The National Auto Sport Association (NASA) is pleased to announce that the 2016 Western States Championships presented by Toyo Tires will take place at the challenging Buttonwillow Raceway Park on October 13-16, 2016. NASA competitors from all over the western region of the country will converge on this Southern California circuit situated just 22 miles outside of Bakersfield, CA to challenge for top step on the podium to claim a NASA Championship. 2016 will mark the 25th anniversary for NASA and the 11th anniversary for our NASA Championship events. We expect to welcome over 600 competitors to our Championship events in 2016 providing competitors with the same fantastic benefits they have come to expect from the event. From the famous trackside gatherings and wonderfully lucrative contingency programs to the extremely competitive racing, the NASA Championships has truly become “the” place to race. Look for additional announcements regarding the 2016 NASA Championship events in the future. See what you missed from the 2015 NASA Eastern States Championships Presented by Toyo Tires. Racers share their stories of what it means to race at the biggest NASA event on the East Coast, and why they want to become a NASA Champion. With amazing footage captured from the event, watch as you see just what makes the NASA Championships "the" place to race for real Champions. A very special thanks to HPD (Honda Performance Development) for bringing us this coverage and being the presenting sponsor of the Honda Challenge Series from the 2015 NASA Eastern States Championship Presented by Toyo Tires. With epic on-board, aerial and track-side footage, you'll not want to miss the action as some of the best in the nation battle to become the first ever NASA Eastern States HPD Honda Challenge Champion. You will also gain insights as to why they love racing Hondas, with these people, in this Championship. Honda Challenge is a series only available to members of the National Auto Sport Association. A very special thanks to Mazda for bringing us this coverage and being the presenting sponsor of the Spec Miata class from the 2015 NASA Eastern States Championship Presented by Toyo Tires. Arguably the toughest class in all of motor racing, NASA Spec Miata will treat you to the kind of action for which you love watching motorsports. Watch as forty two Spec Miatas take the green at the Inaugural NASA Eastern States Championship. Learn what makes this particular race special to the drivers of Mazda's finest roadster. Napa Valley, CA (September 17, 2015) - The National Auto Sport Association (NASA) is pleased to announce that the 2016 Eastern States Championships presented by Toyo Tires will take place at the historic Watkins Glen International Circuit. The circuit, which is located in beautiful Watkins Glen, NY has played host to many of the world’s greatest motor races and on September 22 through 25, NASA competitors will battle it out to see who earns their place in NASA history. "The historic nature of the Glen carries with it a special allure for so many competitors and we couldn’t be more excited to bring one of NASA’s biggest events of the year to this world-renowned facility", said Ryan Flaherty, NASA National Chairman. "The NASA Championships has proven to be one of the most competitive places in the country to test your skills while still also remaining an absolutely stellar experience for all involved. We look forward to welcoming all NASA competitors at what should prove to be an amazing event in 2016!" Look for additional announcements regarding the 2016 Western States Championships event in the coming weeks. ALTON, Va. (Sept. 6, 2015) - The second annual NASA Eastern States Championships presented by Toyo Tires crowned it class winners today at VIRginia International Raceway. Under perfect 80-degree and sunny conditions the 300+ NASA competitors took to the 3.27 mile, 17-turn VIR circuit to settle who would be 2015 NASA Eastern States Champions. The opening event of NASA Championship Sunday at VIR was the 42 car Spec Miata race. Double qualifying race winner and pole sitter Blake Clements, No. 6 Miata, led the field to the green. A first turn, first lap melee cost top runner Danny Steyn, No. 39 Miata, as he retired with car damage. The race went immediately yellow. On the restart on lap three, Clements continued to lead until another caution flew on lap five. On lap seven the race went green with No. 0 Marc Cefalo driving his Miata to the front. On lap nine Clements went back to the point with Hernan Palermo, No. 13 Miata, taking the lead one lap later. On lap 11, NASA Western States Spec Miata Champion, Mark Drennan took the lead in his No. 10 Miata. One lap later it was Clements, Palermo and Drennan. On the last a final lap, Clements got pushed wide in the last turn as a three Miata racers came to the checker side-by-side for the win. It was Hernan Palermo taking the Championship, followed by Mark Drennan and Jonathan Davis squeaking into third in his No. 161 Miata. Brian Henderson, No. 97 Miata, was awarded Hard Charger going from 36 starting position to finish fifth. Upon post-race review, Palermo was disqualified for contact. The final results are Mark Drennan first, Jonathan Davis second and Blake Clements third. With the win, Mark Drennan does the double, winning both the Eastern States and Western States Spec Miata NASA Championships for 2015. 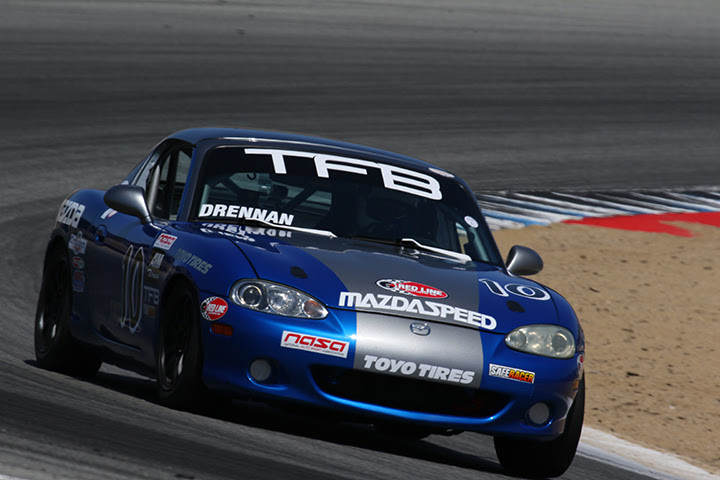 The win also makes Drennan eligible for the Mazda MX-5 Cup Shootout and the $100,000 prize toward driving in the 2016 Battery Tender Mazda MX-5 Cup Presented by BFGoodrich Tires. "The start was crazy, we were three or four wide going into Turn 3," Drennan said. "Things were really bunched up, there was a lot of contact throughout the race. On the first restart I made up a spot. We tried going three wide through five, which is too many, I went up on the curb. On the second restart I was able to get by a few more cars. I had a good run for the lead and I out broke myself and went back to fifth. It was a drafting battle between Blake, Hernan and myself we swapped the lead a number of times. I ended up with a good run on Hernan off the last turn and I ended up second." "I was able to get good restarts and kept up with the front runners," Davis said. "On the last lap, Blake got knocked off the track and I saw him come back on, so I moved over in case he was coming over. I had a run on Mark and Hernan as they were banging wheels down the front stretch. I was drafting them and I popped at the last minute and ended up third. I will take third today." Pole sitter Neal Agran, No. 76 Porsche 944, lead the field to the green. On lap two Agran and No. 119 John Torgeson went off in Turn 1 handing the overall lead to Dan Pina in his blue and white No. 149 Porsche 944 who went on to win. "I started from third," Pina said. "I was really just hoping to be on the podium. The guys in front of me were racing hard. I was able to get to the front when they went off. I had some contact which affected my alignment, so I was just holding on. We had a few passes for the lead. I wanted to keep control, stay strong and be assertive. This was a last minute deal for me. My friends talked me into coming, I wasn't even registered. I loaded up, drove 18 hours and I am glad I did." Larry Fraser, No. 112 BMW, brought the 30 car Spec E30 field to the green. Fraser, Sean Curran, No. 77 BMW and Sandro Espinosa, No. 32 BMW, were starting to pull away from the rest of the pack. The trio were joined on lap four by No. 40 Ryan Whitinger. "It was a hard battle," Espinosa said. "I was careful with Larry Fraser. I wanted to try and force him into a mistake. He missed a shift on the back straight and I went by him. I really didn't want him behind me. I tried to stay in front of him as best as I could. Unfortunately in Turn 1 we went through there side-by-side, like so many times before. There is plenty of room on the left and he went off. It is not the way I wanted it to go, but that is racing. Ryan did a good job to make a run at me at the line and finish second. Thank you to Toyo Tires." In Spec 3 it was the No. 07 BMW driven by Jon McAvoy taking the win. By lap 10 McAvoy had established a 10 second lead over second place finisher Justin Taylor, No. 36 BMW. "It was a hell of a race," McAvoy said. "I got a bad start. I got passed by three cars at the start. It took about three laps to catch back up and take the lead. It was a great day at VIR. No yellow flags, everyone was really running clean. A huge thanks to Toyo, my tires were under me the entire time. Also Hawk brakes. Most importantly my wife, bless her heart for letting me do this on Labor Day weekend." In SU, Ray Cocoziello took the lead at the green in his No. 72 Crawford Daytona Prototype over Jeff Hinkle's No. 9 Dodge Challenger. On lap two the race was black flagged to due to two cars blocking the track between turns three and four. Following the black flag, Cocoziello couldn't restart his car. Dan Raver in the No. 7 Superlite assumed the lead. A few laps later after Raver had an issue, Robert Iversen took the lead in his No. 1 Radical and the SU win. "The yellow and the black flag did not help my effort at all," Iversen said. "We knew we had to take the long view of the race and manage our tires. We needed to be there at the end. We knew we could run within a couple of seconds of these 800 and 900 horsepower cars, we only have 440. I think as it showed at the end that no one can out brake us. Thanks to everyone at Wisco and NASA Southeast." In ST1 Joe Moholland navigated the caution and race stoppage to post the win in his No. 3 Chevrolet Corvette. "It wasn't as crazy at the beginning as they often are," Moholland said. "I had a tough day yesterday. I tore half of my splitter off on the first lap. So today I was going to be a little more conservative and little more patient on the start. I didn't want to get mixed up with the SU cars too early. My patience paid off today." The ST2 winner was Kevin Harvey in his No. 01 Chevrolet Corvette. "The yellow and black was interesting," Harvey said. "Cars were going everywhere at the start. When the Mustangs got together over there between three and four it was nice that they reset the order so we could go back to racing fairly. Later when the Lotus went into the wall in the esses, the race went yellow and went green really fast. I had my wife and friend calling flags for me that really helped." Terry Mathis drove his No. 71 Chevrolet Camaro to the AI win. "I had a great run," Mathis said. "Yesterday the car was good, but I was a little loose today. Every second we had red in front of us. I didn't want to be cautious and give up the lead. Maybe I was a little too cautious I was being pushed the whole time. One more check off my bucket list, winning a NASA Championship. I really enjoyed it." In CMC, Russ Carter drove his No. 720 Ford Mustang the class win. "I got a lousy start," Carter said. "I think I won the burnout contest. We do standing starts, so when the green flew I did a big burnout. I was able to stay with the pack. The yellow and black bunched us up. I slowly picked through our small field to the front. It is tough to run in the back of the thunder group, a lot happens in front of us. We are used to dealing with adverse track conditions. It was an absolute blast. All of the competitors know each other and that makes it really fun." Robert Miller was the SI Class winner in his No. 20 Ford Mustang. "I ran great," Miller said. Once we got in front after the caution I was able to stay in front and bring it home. I didn't want to see the yellow or the black. That let everyone get up to me again. I had a good restart and was able to bring it home for the win." In HPD Honda Challenge 1 it was an early race battle between Kevin Helms in his No. 05 Civic, Brian Shanfeld in the No. 17 Acura and the No. 75 Honda S2000 of John Oldt. The trio circulated most of the race together with Helms and Shanfeld exchanging the lead early. Oldt fell back with an engine issue at three quarter distance just about the same time that Helms began to open up a two second gap to Shanfeld. Helms went onto win his first NASA Eastern States Championship. He was followed to the line by Shanfeld and Matthew Briddell in the No. 108 Honda S2000. "At the end I was able to get a little gap," Helms said. "I knew it would be dicey at the beginning, that Acura TLX has a lot of horsepower. I tried to get a good gap in the small parts so he couldn't catch me. He passed me once and he started to make a few mistakes, I think his tires were going off. I saw that and I said it was time to get going." Jonathan Baker, No. 32 Acura, and the No. 36 of Robert Casella were locked in a two-way battle up to mid race when Baker fell back. Spencer Anderson in the No. 516 Civic took up the challenge in second place, keeping Casella honest. Soon after Baker fell back, Casella had issues as well. That left the No. 516 of Spencer Anderson in his Civic as the HPD Honda Challenge 2 winner. Eric Olson in his No. 10 Civic was second and the No. 31 Accord of Karl Kondor was third. "I didn't expect to win," Anderson said. "I came to this weekend with the wrong engine, hoping for maybe a top five. I didn't expect to win. I got a good start and was moving up through the field. I hung out in fourth for a while and then the race started to come to me. A couple of guys had engine issues, one blew up on the last lap. It kind of fell in my lap." 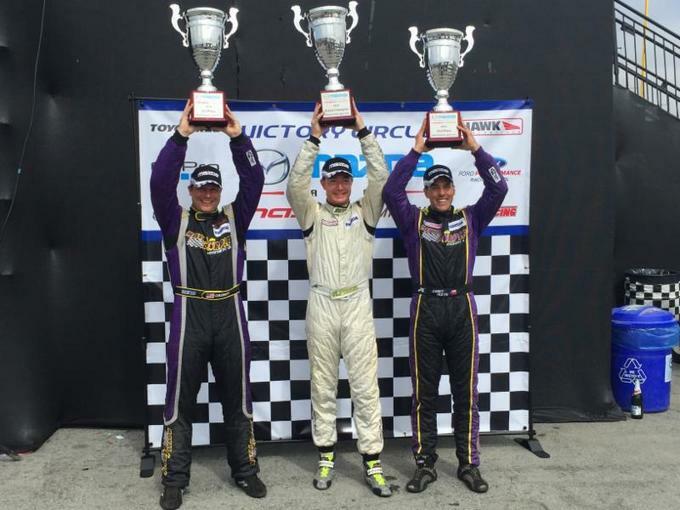 Randy Mueller made it a qualifying and championship race win hat-trick today sweeping the GTS4 Class in his No. 0 BMW M3. Mueller won by 20-seconds. The win makes Mueller a five-time NASA Champion. "It was a good race weekend for us," Mueller said. "This is a total package, not just a driver. The equipment that you are in and the people who put it together are all important. We have MCS Suspension, Hoosier tires, Bimmerworld, Red Line Oil and Epic Motorsports. It is great to have that group behind me. We had an anxious moment right when we were rolling to the grid the ABS stopped working. One of my crew was able to get it fixed in two minutes. It may have been a different race if he didn't. In GTS3 Hugh Stewart took the win his No. 122 BMW. "It was absolute insanity," Stewart said. "I got tangled up at the start, I was third on the grid and went back to fifth. I was able to catch back up to the front. I was over heating a little bit going off track to pass, I had some grass in the radiator. But a good run and a good race." Zach Hillman took home the GTS2 trophy in his No. 158 Porsche 944. "We got the start that we wanted," Hillman said. "We just maintained from there. A lot of guys switched up their tires and tunes. We knew the first lap would be important and we were able to control the pace. My crew put in a lot of prep work for this race. All the work paid off and we finally won it! I want to thank all my guys back at home." The GTS1 winner was Jason Stanley in his No. 60 Porsche 944. "It was pretty hot out there," Stanley said. "I had already done the Spec 944 race this morning and my cool suit wasn't working. At the start I got swamped. I stayed patient and just picked them off one-by-one. I got into the lead and just made sure that I was letting the faster cars by in the right place for them and for me. My Hoosier tires got a little tight at the end. The Hoosier engineer gave me some good tips on how run the tires. I would like to thank my sponsor Fantasy Garage for providing me with an awesome rolling tool cart and Bluetooth speaker. It kept my tools organized and gave us tunes as we worked all weekend. I am very pleased with the result." In PTD Eric Powell took off to a ten-second lead on the first lap in his No. 74 Mazda Miata only to drop out on lap seven handing the overall group lead to Jason Fitzpatrick in the No. 75 VW Passat who went on to win the class. "On the first lap I went through the gas coming up onto the front straight," Fitzpatrick said. "It was a shame to win it with Eric going out early. Once I saw Eric behind the tow truck, I just focused on being smooth and maintaining the car. It would have been fun to race him, but I will take it." In PTE Jason Kohler drove his No. 848 Mazda Miata to the class win. "I was able to get to the front on the second lap," Kohler said. "The Miata matches up to the Nissan Sentra pretty well. At most tracks we are within about a second. The longer tracks seem to favor the Miata on overall set-up and speed. Anthony Zwain drove the Team Edge Motorworks Mini to the PTE Class win. "It was pretty spectacular," Zwain said. "The race was a lot of fun for me. I was pressured pretty hard. I was racing with some out of class guys. I think I busted my oil pan, but I was able to get it to the checker. The car is running as good as it has ever run." VIRginia International Raceway's 3.27 miles encompasses nearly every kind of turn. The fast uphill esses that lead into the signature Oak Tree Turn are known throughout the racing community. The long laps will reward a good race car set-up and require the competitors to display their driving skills as well as race craft. ALTON, Va. (Sept. 5, 2015) – The second annual NASA Eastern States Championships presented by Toyo Tires has set the grids for its championship races tomorrow at VIRginia International Raceway. Under mixed weather conditions alternating between light rain and sun shine, the over 300 competitors have made it through two days of practice and qualifying races leading up to tomorrow’s championship races at the 3.27 mile, 17-turn VIR circuit. The GTS class opened Saturday’s round of qualifying races. At the ten minute mark a full course caution flew erasing Randy Mueller’s, Friday’s winner, eighth second lead. He would go on to post his second qualifying race win in his GTS4 BMW M3. In GTS3 Edgar Cabrera was able to hold off Eric Wong’s BMW to win in his No. 184 BMW. In Spec Miata it was, once again, Blake Clements taking the win in his No. 6 Miata. Clements had help from second place runner Chris Haldeman, bump drafting and creating some separation to third place finisher Hernan Palermo. Once again the 35 Spec Miata competitors ran a clean caution qualifying race. In the Spec E30 race, yesterday’s qualifying race winner Sandro Espinosa hooked up with No. 125 Alex Barroso in his BMW 325 and the pair were able to open up a couple second gap to third. On lap five a full course caution flew, bunching the all BMW field. The race went green and then another full caution flew. On the restart, with one lap remaining, Larry Fraser took the lead into Turn 1 and the race win. Spec 3 also had a new qualifying race winner. Jon McAvoy took the win in his No. 07 BMW. The 944 Spec race was a great three way battle between Friday’s race winner Neal Agran, Dan Pina and Jason Walsh. The mid-race full course caution brought the trio back to the rest of the field. Two laps after the restart a final caution flew with the officials restarting the race with a green and white flag. Agran was able to hold off the charging field on the one lap dash for his second win in two days. The Super Unlimited cars were able to hit the track in dry conditions this afternoon. Jeff Hinkle in his No. 5 Dodge Challenger was the early leader until Ray Cocoziello drove his No. 17 Crawford Daytona Prototype the front and the overall group win. Also in the group Joe Moholland won ST1 in his Corvette, Kevin Harvey took the ST2 win his No. 01 Corvette, in In AI it was the No. 77 Mustang of Bruce Byerly and in SI it was Robert Miller in the No. 20 Mustang. In HPD Honda Challenge 1 David Isbell, No. 7 Acura Integra, started from the back of the grid as a result of being disqualified from his race win yesterday. Isbell was racing Kevin Helms Civic all race until Helms experienced some overheating and had to back off. In HPD Honda Challenge 2 Jeremy Lucas took the win in his Honda S2000, again starting from the back of the grid. In PTD-F Eric Powell took the early lead until he pulled his Mazda Miata into pit lane. Jason Fitzpatrick inherited the lead in his No. 74 VW Passat. Jason Kohler, No. 848 Mazda Miata, was the winner in PTE and the Team Edge Motorworks No. 1 Mini won in PTF. VIRginia International Raceway’s 3.27 miles encompasses nearly every kind of turn. The fast uphill esses that lead into the signature Oak Tree Turn are known throughout the racing community. The long laps will reward a good race car set-up and require the competitors to display their driving skills as well as race craft. ALTON, Va. (Sept. 4, 2015) – The second annual NASA Eastern States Championships presented by Toyo Tires is underway at VIRginia International Raceway (VIR). Over 300 competitors have filled the paddock and are busy setting up their cars and running qualifying races around the 3.27 mile, 17-turn VIR circuit. In the first qualifying race of the day, Randy Mueller drove his No. 0 Epic BMW M3 to the GTS class overall win. Mueller a four-time NASA Champion is poised for a fifth. HPD Honda Challenge witnessed some tight racing. David Isbell drove his No. 7 Acura Integra from the back of the field to post an impressive qualifying race win. As the high-horsepower car hit the track the clouds opened up and rain came, catching the competitors on dry tires in a downpour of rain. After lap one a full course caution flew and then the NASA officials black flagged the race. Soon after the officials put out the checker with No. 9 Dodge Challenger driven by Jeff Hinkle listed as the top finisher based upon his fast qualifying time from the morning. As the rain continued, 39 Spec Miata race cars took to the track. From the drop of the green flag the No. 39 of Danny Steyn was the early class leader. On lap a sudden downpour in Turn 1 sent the top two cars off the track resulting in a black flag. The No. 6 Blake Clements declared the winner of qualifying race one. The 30 car Spec E30 class took to the track with the rain still coming down. As a testament to the driving ability of the one the largest fields of the weekend, the race went caution free with Sandro Espinosa driving his No. 32 BMW to the win. In 944 Spec Neal Agran drove his No. 84 Porsche 944 to the win over Dan Pina. The two exchanged the lead in the rain early until Agran took the lead for good and the win. In Spec 3 Justin Taylor took the qualifying race win in his No. 36 BMW. Taylor took the lead from the second position on the grid and never looked back. In PTD-F it was Brett Westcott in his No. 58 Nissan that was the class of the field. He was able to overtake the No. 47 Mazda Miata of Kopitski for the class win. NASA has over 14,000 members in 16 regions. Key events include the NASA Western Championships at Mazda Raceway Laguna Seca, July 31 - Aug. 2; the Eastern Championships at Virginia International Raceway Sept. 4-6 and the season culminating NASA 25 Hours of Thunderhill, Dec. 5-6. The NASA National Championships will run 36 race classes and nine Time-Trial classes during the event. Manufacturer partners include MAZDASPEED, Honda Performance Development (HPD), Nissan and Ford Racing. NASA Management: Jerry Kunzman, Executive Director; Ryan Flaherty, National Chairman; Jeremy Croiset, Director of Business Development; Dave Ho, Business Operations Manager, Will Faules, National Event Manager. NAPA VALLEY, Calif. (Sept. 2, 2015) - The second annual NASA Eastern States Championships presented by Toyo Tires to run at VIRginia International Raceway (VIR) is ready to take the green flag this weekend, Sept. 3-6. The 3.27 mile, 17-turn VIR circuit will be home to the 300+ drivers who will compete for the title of NASA Eastern Champion. Two-time NASA Champion Eric Kuhns will be debuting his new "Franken44" Porsche at the championships. Coming from the 944 Spec Class, Kuhns is ready to make his mark on the Super Touring 2 Class this weekend. "The Franken44 has a 5.7-liter LS1 Corvette motor," Kuhns said. "I have just three race weekends on the car. It's been great. The Franken44 is powerful, reliable, and oh man does it sound great! I ran my qualifying races at Mid-Ohio, Road America, and Gingerman. I see David Farmer and Greg Vannucci as the main competition in ST2. I am sure there will be some fast guys I don't know about. My goals are to first, race clean, second, have a good time - that's why we do this - and third develop the new car at a high level of competition and lastly push hard to get on the podium." Zephyr Belski is a two time Honda Challenge 5 NASA National Champion from 2006 and 2007. "I have a new car this season so my goals at VIR this weekend are modest. I hope to finish in a position higher than I start," Belski said. "I ran at VIR this year, so I have a pretty good idea of how to set-up my Acura for this weekend. I hope that will give me a slight advantage. 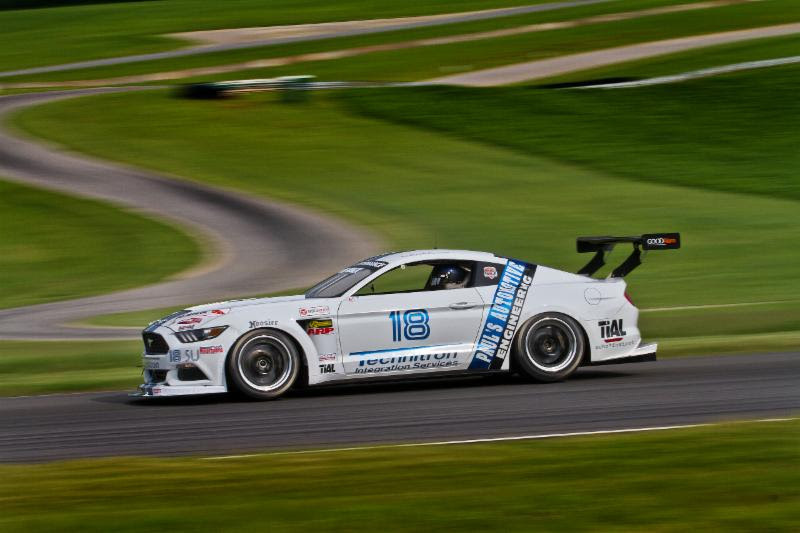 I have been attending races at VIR since 2003 starting in HPDE, it is an amazing track." NASA event director, Jon Felton, is ready to welcome a great grid of competitors. "Everyone I talk to is excited about the NASA Eastern States Championship event this weekend," Felton said. "The plans are made, the competitors are putting the final touches on their cars and we will be ready to welcome them to VIR. By the looks of the 300+ entries we are going to have a great weekend of racing and camaraderie." To qualify for the NASA National Championships presented by Toyo Tires, NASA competitors must compete in and score points in five races for entry into the NASA Eastern States Championships. 'Survive the 25,' originally aired on the MavTV network, highlights the triumphs and struggles of four teams vying for victory at the 2014 NASA 25 hours of Thunderhill presented by Hawk Performance. This episode is presented by Mazda. NAPA VALLEY, Calif. (Aug. 18, 2015) - The second annual NASA Eastern States Championships presented by Toyo Tires to run at Virginia International Raceway (VIR) Sept. 3-6 is getting competitive entries. East coast NASA racers are preparing for the big event at VIR in three weeks. The 3.27 mile, 17-turn circuit will challenge the 300+ drivers coming to compete. Mark Drennan made his mark at the NASA Western States Championships two weeks ago by winning the Spec Miata Class as well as the new BMW Spec E46 Class. Drennan is going for a Miata and BMW double by also entering the Eastern States event. "I originally signed up for Spec E46 race, renting a good car from one of the class founders Jason Tower," Drennan said. "I wanted to meet the other E46 drivers and, if I was fortunate enough to win the West, I want to see if I can consolidate the National Championship. After winning the Western States Champs in Spec Miata and Spec E46, I got a call about an open transport spot for a car and decided to bring one of my Spec Miata cars. The Spec Miata field in the East is deep with talent and I'm always looking to challenge myself. I've been to VIR twice, once in 2013 in a Spec Miata and a few weeks ago for a NASA regional in the rented Spec E46. I posted two wins that weekend. I expect James Clay and Cameron Evans to be formidable in the BMW race. In Spec Miata, there's a handful of super-fast drivers, but the top two are Danny Steyn and last year's Eastern States Champ Alex Bolanos." Brian Faessler and his team have built an all-new Mustang for 2015. The No. 018 Ford Mustang running in the Super Unlimited Class will be one to be reckoned with at the beginning of September at VIR. "We actually built a completely new car this year, an all-new 2015 Mustang," Faessler said. "With this car, we've now got an IRS (independent rear suspension), better greenhouse aerodynamics and some other minor things. I've been to VIR three times, twice this year. I was able to finish fourth in the July 17th Grassroots Ultimate Track Car Challenge. This year we are gunning for the Super Unlimited and TTU Championships." Alex Bolanos is coming back in his No. 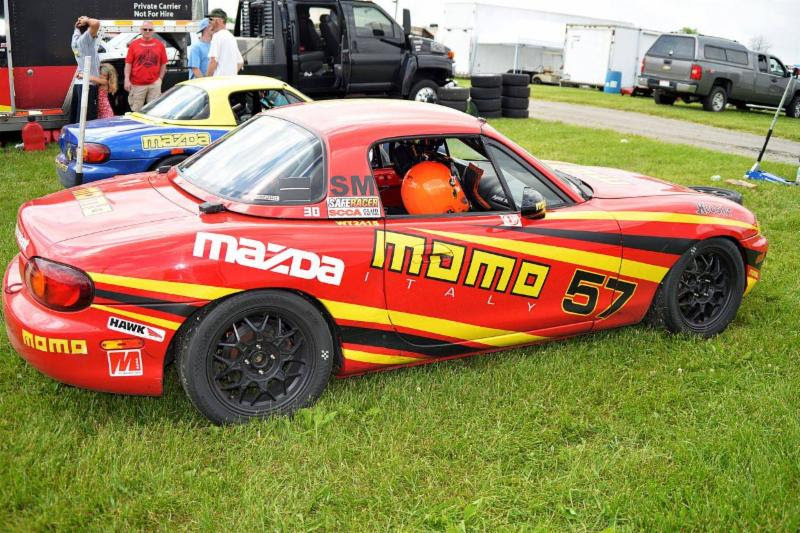 57 Mazda Miata and is looking to repeat his win at Road Atlanta in 2014 in Spec Miata. "The goal is to win and defend my title," Bolanos said. "I am doing some set-up changes, specific to VIR, for the Toyo tire as I've always run there on Hoosiers. I think that the runner up from last year Danny Steyn and 2012 Champ Yiannis Tsiounis will be strong for the championships as well as the local talent." Jon Felton, NASA National event manager, has his team in full planning mode for the east coast event. "We have great participation from our administrative team on the east coast," Felton said. "Everything is progressing toward the first weekend in September. The racers are ready and we are still getting entries. There are a lot of strong classes like Spec Miata, Spec E30 and the HPD Honda Challenge class is the biggest we have seen it since Mid-Ohio in 2012." Virginia International Raceway's 3.27 miles encompasses nearly every kind of turn. The fast esses that lead into the signature Oak Tree Turn are known throughout the racing community. The long laps will reward a good race car set-up and require the competitors to display their driving skills as well as race craft. To qualify for the NASA National Championships presented by Toyo Tires, NASA competitors must compete in and score points in four regional races around the country, five for the Eastern States Championships. The biggest race of the year for the West Coast Regions is in the books, and here are the highlights from the event. You will hear from racers on their quest to become a 2015 NASA Western States Champion, and why it is critical to get the most out of yourself, and your car, for the one race that matters the most - Sunday's final. We also have thrilling class recaps for Spec Miata and Honda Challenge aficionados, where door handles were becoming thoroughly acquainted. Share these videos with your friends and get in the mood for the NASA Eastern States Championships coming up Sept 3-6! Napa Valley, CA – NASA is thrilled to announce Winding Road Racing as the new Official Motorsports Equipment Supplier of NASA. Winding Road Racing is one of the leaders in motorsports equipment retail offering a wide range of driver safety gear, performance components, set up tools, and racing lifestyle products online at www.windingroadracing.com and trackside at many NASA events. "All of us at Winding Road Racing are proud to partner with NASA, which will allow us the opportunity to further connect with the racing community," said Thomas B. Martin II, owner and President of Winding Road Racing. "Through member benefits programs, including the Winding Road Racing contingency sponsorships, we can continue honoring the achievements of amateur racers, while supplying the gear racers need to go faster. We are excited to do so both online, in our retail store, and trackside at local and national NASA events." Not only does Winding Road Racing offer all of the above, they also build race cars at their headquarters location in Austin, TX. Many of Winding Road Racing’s employees compete in both sprint and endurance races each year. Both car building and racing provide their staff with valuable first-hand expertise to assist customers. For more information on Winding Road Racing or to order Motorsports Equipment, please visit their website at: www.WindingRoadRacing.com or call (512) 994-0656. Founded in 2013, Winding Road Racing's mission is to offer everything you need to go road racing. Through our trackside operations in the southwest, west and at national events, and our store and race car shop in Austin, TX, Winding Road Racing offers auto racing safety gear and tools, race car builds and services, and racing information and tips (at www.windingroad.com). For more information on Winding Road Racing and Winding Road Media, visit www.windingroadracing.com and www.windingroad.com. NAPA VALLEY, CA – The National Auto Sport Association (NASA) is pleased to announce the Ford Performance Contingency Program for NASA competitors in 2015. The newly announced program will provide fantastic cash awards to NASA competitors competing both regionaly or at either NASA Championships event. The program provides awards to competitors in the American Iron Series, Spec Iron, Super Touring, Performance Touring, and Super Unlimited classes. Spec Iron competitors are eligible for up to $1,000 in cash awards for regional top 3 finishes! Additionally, Spec Iron along with the other classes in the American Iron Series, Performance Touring, Super Touring, and Super Unlimited classes are eligible for $2,250 in cash awards for finishing in the top 3 of their respective Regional Championship. To sweeten the pot even further, Ford Performance will offer NASA competitors at either Championship event in these same classes the chance to collect $4,250 in additional cash awards! Napa Valley, CA - NASA’s 25 Hours of Thunderhill presented by Hawk Performance. It’s long. It’s challenging. It’s unpredictable. It’s prestigious, even for the pros. It’s on TV. NASA’s 25 Hours of Thunderhill presented by Hawk Performance has become a staple of endurance racing, drawing top competitors and teams from all around the world. The changing weather, deep field of competitors and taxing track layout make the event especially exciting for teams, drivers and fans. Survive the 25 is a documentary that chronicles the struggles and triumphs of four teams as they battle through the 2014 NASA 25 Hours of Thunderhill presented by Hawk Performance. The show will originally air on MavTV June 2nd at 2pm and 5pm ET. The teams featured in the show include Davidson Racing, Crowd Strike-One Motorsports, SP Racing, and JFC Racing. https://www.youtube.com/user/NASAPRORACINGTV following the final airing. For more information on the 25 Hours of Thunderhill presented by Hawk Performance, please visit www.nasa25.com. Matt Powers, center, winner; right Corey Rueth second; left, Jeremy Croiset third. MONTEREY, Calif. (May 3, 2015) - Matt Powers (San Rafael, Calif.) won today's running of the inaugural Mazda Race of NASA Champions at Mazda Raceway Laguna Seca. Powers was crowned NASA Grand Champion. He was followed to the checkered flag by Corey Rueth (Manchaca, Texas) and Jeremy Croiset (Tehachapi, Calif.). The 20 NASA Champions were a part of a three class grid consisting of 48 Mazda MX-5 race cars representing the Mazda MX-5 Cup, Skip Barber Mazda MX-5 Series and the NASA Champions. Pole sitter Corey Rueth brought the 20 NASA Champions to the start flag for the 45-minute timed race. Rueth was the early leader as Matthew Powers, Jeremy Croiset, David Ziegler (Baltimore, Ohio) and Ben Anderson (Minneapolis, Minn.) followed in a five car Mazda MX-5 train. On lap five Powers passed Rueth for the overall NASA Champions lead. Powers continued to lead through the one-third distance of the race. The top three NASA drivers were running near identical 1:45 lap times. On lap 11 Chi Ho (Orlando, Fla.) spun in Turn 10 and hit the wall bringing out the races first and only caution period. On the restart on lap 16, Croiset was able to take over second position from Rueth. On lap 19, Croiset, running in a 10 car pack, was able to take the overall NASA Champions lead going into Turn One at the 37-minute mark. Croiset, Powers and Rueth were running nose-to-tail for the final 10-minutes of the event. On lap 22 Croiset got caught in traffic coming down from the Corkscrews and got relegated to third place as Rueth and Powers took advantage of Croiset's delay. On the final lap Powers managed to get by Rueth to take the NASA Grand Champion crown. Class BMW M3 he can also boast about being the first ever NASA Grand Champion. "Great race," Powers exclaimed. "It was really simple for the first 30-minutes and then that yellow came out. It became a whole different race on the restart. I am just happy to have the car in one piece and at the front. It was a fantastic race. I really appreciate everyone from Mazda and NASA who put this great event together. There are some great drivers here. It was an awesome battle. I knew there was something going on with Jeremy and Corey. They were really battling. Jeremy tried to make a hero move and I was able to capitalize and take the win." Rueth is the Eastern States Champion in his Spec Iron Mustang and finished second in the No. 27 Mazda MX-5. "That was absolutely the best race of my life," Rueth said. "I've never had more fun in a car. I was having so much fun at the end of that race that I didn't care if I won. OK that is a lie. I had the best time. I want to thank Mazda, NASA, SCCA and Skip Barber Racing for a great event. The hospitality has been wonderful and it really showed me how a professional event is run. I am absolutely inspired. I am going to buy a Mazda when I get home. I was leading the race and Matt made a fantastic pass. He was racing like a true gentleman. So I fell in behind him and drafted a while. He got caught up in traffic in Turn 10, he went inside, I went outside trying to pull the hero move and I went into the dirt. I put the accelerator on the floor and prayed and drove it back on the track after Turn 10. I have to pass about 100 cars to get to back to Matt. I am happy to be on the podium today. Proud to be racing with these drivers and the NASA organization." Third place finisher Jeremy Croiset is the 2014 NASA Western States Honda Challenge 2 Champion and is also the NASA Director of Sponsorship. "It was really clean racing," Croiset said. "Some of the best and hardest racing I have done. I got a decent start and I let things play out running in the top three. After the full course caution it was mayhem, every man for himself. I had my radio slip out of the dash and it was at my feet. I ended up throwing it in the back and focusing on the race. The end of the race was fantastic. I tried to stay as clean as possible, there was great action between the top five cars. My hats off to the NASA racers, everyone did a great job all weekend." Putting his sponsor hat on Croiset was happy with the cooperation of everyone and as well as the driving prowess on the track. "The action was more intense than anything I have ever done in my life. The racing was closer than I could have imagined. I can't say enough about Mazda, NASA, SCCA and BFGoodrich for putting this event together. This really showed that the cream of the crop in NASA rose to the top. I think we had one of the best races of the weekend, which is a testament to the NASA ladder program. I want to thank John Doonan from Mazda for his vision and support." For more information contact Kyle Chura, NASA Media, kyle@kcapr.com, (248) 821-0468. Matt Powers, San Rafael, Calif., 1:45.149 - Fast race lap time. NASA would like to thank its National sponsors for their continued support: Toyo Tires, Mazda, Hawk Performance, OG Racing, Ford Performance Racing School, and GoPro. We also want to thank MAZDASPEED, Honda Performance Development (HPD), Nissan, and Ford Motor Company for supporting our members. We greatly appreciate those companies that offer our racers contingency support, including Toyo Tires, AIM Sports, AST Suspension, BFGoodrich, Ford Racing, Maxxis Tires, Traqmate, Hawk Performance, Honda Performance Development (HPD), Hoosier Racing Tire, MAZDASPEED, Nissan, Jongbloed Racing Wheels, Bimmerworld, Frozen Rotors, Optic Armor, Neo Motorsports, Spec Clutches, Driven Racing Oil, Altronics Inc., ANZE Suspension, GT Radial Tire, Tilton, Racefab Inc., Sampson Racing Communications and Yokohama. NASA competitors can also get discounts from Mazda, Maxxis Tires, Racing Fire Systems, Ford Performance Racing School, Fuel Safe, Vehiport, APR Performance, Avis, Cruise America, Eibach Springs, Exedy, Fastbrakes, Konig, The Mid-Ohio School, Konig, Molecule, OG Racing, Torco, TPIS, Porterfield and Monster Clutch. * Key events include the Mazda Race of NASA Champions May 3 at Mazda Raceway Laguna Seca; NASA Western Championships at Mazda Raceway Laguna Seca, July 31 - Aug. 2; the Eastern Championships at Virginia International Raceway Sept. 4-6 and the season culminating NASA 25 Hours of Thunderhill, Dec. 5-6. * NASA Management: Jerry Kunzman, Executive Director; Ryan Flaherty, National Chairman; Jeremy Croiset, Director of Sponsorship; Dave Ho, Business Operations Manager, Will Faules, National Event Manager. 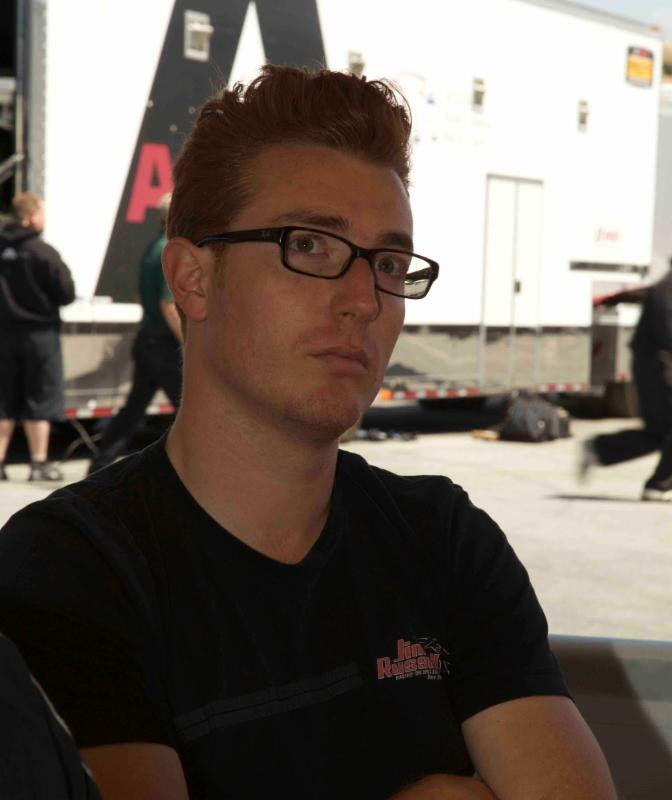 MONTEREY, Calif. (May 1, 2015) - Corey Rueth (Manchaca, Texas) will start the National Auto Sport Association (NASA) first ever Mazda Race of NASA Champions at Mazda Raceway Laguna Seca from the pole position for Sunday morning's 45-minute race. The 20 NASA Champions took to the track in their equally prepared Mazda MX-5 Cup race cars for the 15-minute qualifying session this afternoon under sunny skies. The field of champions began to swap the pole position early. Larry Fraser (Novato, Calif.), Matthew Powers (San Rafael, Calif.) and Eric Powell (Orlando, Fla.) all throwing down early fast laps. As the session progressed Rueth put in a time of 1:45.619 on his third flying lap that, at the time, bested the field by over one second. The fans had to wait until late in the session when David Ziegler (Baltimore, Ohio) put in a time of 1:45.665 on his eighth lap to start next to Rueth on the all champions grid. Third place was a battle between Jeremy Croiset (Tehachapi, Calif.), Fraser and Powers. The coveted third place starting position was eventually won by Powers with a lap of 1:45.820. Corey Rueth is the NASA Texas, Eastern States Champion in his Spec Iron Mustang. He will startSunday's race as the pole sitter in the No. 27 Mazda MX-5. "So far it has been an amazing weekend," Rueth said. "NASA put it all together with the help of SCCA, Mazda, BFGoodrich and Battery Tender. The whole event has been run very smoothly. We have reviewed each other's video and data. We are working together as NASA brethren to get faster. I am proud to be a part of it. I typically drive a Spec Iron Mustang. The Mazda goes so nice I feel like I am in a warm bath. I managed to run a 1:45.619 and I just kept the car under me. The MX-5 seems to reward with you a 95% effort as opposed to trying to force it into the corners. For the race I plan to manage my tires and I am not going to make a move until I know I have an opportunity to go for the win." Starting alongside Rueth will be David Ziegler. Ziegler will take the start in the No. 30 Mazda MX-5 and is the NASA Great Lakes, Eastern States Champion, driving a ST3 spec Chevrolet Corvette Z06. "This whole experience has been pretty amazing," Ziegler said. "NASA, SCCA and Mazda have put together a great weekend. I usually drive a Corvette C5 so the Mazda MX-5 is a little different to drive. There is a little bit of a learning curve, but the car is balanced well and it is a real joy to race. I went out with the intention of going as fast I could. I kept the car on the track and put in a pretty good time. In the race I plan to be smooth and consistent and stay out of trouble." Matt Powers is the NASA NorCal, Western States Champion in his GTS4 Class BMW M3. He will take the green in the No. 40 Mazda MX-5. "My usual ride is a BMW M3," Powers said. "The Mazda MX-5 is quite a bit different. The power to weight ratio is almost double between the M3 and the MX-5. It is a great experience to drive the Mazda. So far the weekend is great. NASA and Mazda have put together a very cool weekend and I am glad to be a part of it. For the race, I think there are going to be some cautions. I want to move up a little bit and be close to the lead at the 35 to 40 minute mark. I am not sure it is going to be about tire management, but I know it is going to be a battle the whole race." The 45-minute Mazda Race of NASA Champions will take the green flag Sunday, May 3 at 10 a.m. PT. NAPA VALLEY, CA – The National Auto Sport Association (NASA) is pleased to announce Michael Gershanok as the new GTS National Series Leader. Michael has been with NASA since the inception of the North East Region in 2000 as its German Touring Series Leader. Michael’s philosophy from the beginning for the GTS series has been to preserve its core principles of being open, simple and fair. Over that last several years, he has successfully steered the GTS Series in the North East Region Growing the fields to a consistent 25 – 30 cars at each event. Michael has also been a NASA instructor since 2002, and a five-time North East Regional Champion in GTS. Away from NASA events, Michael is a double-degreed dentist (MD/DDS) and runs two full time practices, one in New York City and the other in a northern suburb, just to keep life interesting and busy. In his private life he is blessed sharing his life with his wife Lila and 9 year old daughter Marta. 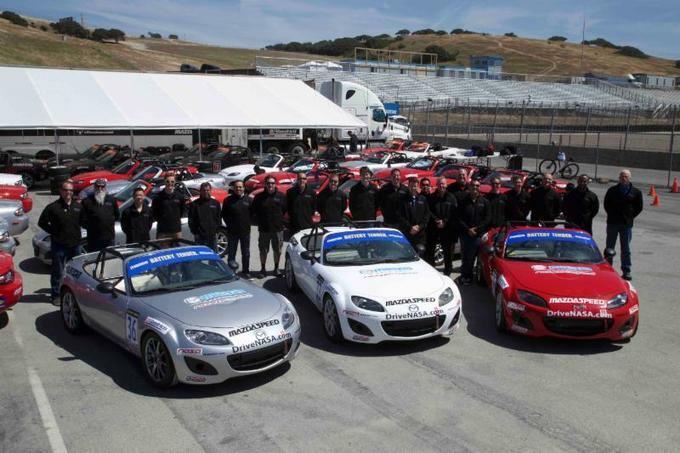 Napa Valley, CA — The National Auto Sport Association (NASA) together with Mazda will line-up 20 championship-winning drivers from the 2014 season to race in the inaugural Mazda Race of NASA Champions. This historic event will take place during the TUDOR United SportsCar Championship Continental Tire Monterey Grand Prix powered by Mazda at Mazda Raceway Laguna Seca weekend, May 1-3. The 20 NASA Champion drivers represent 13 states, from nearly all NASA regions across the country. Each racer will compete in identically prepared Skip Barber MAZDASPEED Pro Challenge Mazda MX-5s to vie for the title of NASA Grand Champion. The Grand Champion will be eligible to compete in the Mazda Club Racer Shootout for a $100,000 scholarship to be used to fund a full season of racing in the SCCA Pro Racing Battery Tender Mazda MX-5 Cup presented by BFGoodrich Tires racing series. “This program speaks volumes to the importance Mazda places on grassroots motorsports as they are truly devoted to finding the best driver in NASA to represent the association in the annual Mazda Club Racer Shootout later this year,” said Ryan Flaherty, NASA National Chairman. “Both of our companies share a common vision for offering new opportunities to grass roots racers and this program could help identify the next great driver in our sport. We can’t wait to see the action in two weeks at Mazda Raceway Laguna Seca." Napa Valley, CA – The National Auto Sport Association (NASA) has been awarded a Grassroots Motosports Magazine Editors’ Choice Award for 2015. NASA’s decision to offer two Championships events in 2014 instead of one was deemed one of the top 20 things which made the motorsports scene a better place in 2014. Grassroots Motorsport Magazine agreed that splitting the NASA Championships Presented by Toyo Tires into the Western and Eastern States Championships significantly lessened the tow, time, energy, and ultimately the expense needed to compete at the highest level of amateur road racing in the US. This has provided many more competitors the opportunity to taste national-level competition for the first time, while matching the grid sizes of NASA Championship events of the past. Napa Valley, CA - NASA is pleased to announce a generous new HPDE entry discount program available to all participants. Beginning immediately, anyone that purchases a set of MAXXIS RC-1 tires will be eligible to receive a $50 discount coupon. This coupon will be good toward any HPDE entry in any NASA region. Thanks to Maxxis and their generous support of the community, any HPDE participant can now save $50 on their event weekend along with their purchase of a new set of RC-1 tires. For complete details regarding the offer, please visit http://www.maxxisrc1.com/content/track-day-rebate. Napa Valley, CA. – The National Auto Sport Association (NASA) is announcing that Scott Good will be stepping down as GTS National Series Leader. Good, the 2008 and 2010 GTS2 National Champion, took over the role of GTS National Series Leader in 2012 and has served the series well, seeing it through tremendous growth and most recently, new rules that will level the playing field within each class of the series. With Scott’s retirement comes an opportunity for NASA to implement a new process created for recruiting National Series Leaders. Interested persons can now submit their resume for the position after review of the National Series Leader Outline. In the past, drivers have been hand picked for these roles. While that has worked well, NASA’s steady growth and current size requires that we explore a new process that will open this opportunity up to more people than ever before. Napa Valley, CA – The National Auto Sport Association (NASA) and Mazda Motorsport are pleased to announce that the 2015 Mazda Race of NASA Champions is scheduled to take place the weekend of May 1st at Mazda Raceway Laguna Seca during the IMSA TUDOR United SportsCar Championship weekend. Registration is now open for any competition license holding 2014 NASA Champion. This event will provide each 2014 NASA Champion the opportunity to pit themselves against each other in identically prepared Mazda MX-5s in a winner take all format that will decide the inaugural NASA Grand Champion. “We’re thrilled we’ve been successful in working with our great partner Mazda to bring this brand new event and opportunity to the NASA community,” said Ryan Flaherty, NASA National Chairman. “It took a tremendous amount of work involving a number of other partners to put this amazing opportunity together for our Champions to compete against one another in a single event competition weekend to find out who really is the best of the best! This program speaks volumes to the importance Mazda places in motorsports as they are truly devoted to finding the best driver in NASA to include in their annual Mazda Club Racer Shootout later this year. Both of our companies share a common vision for offering new opportunities in motorsports and this program could help identify the next great driver in our sport. 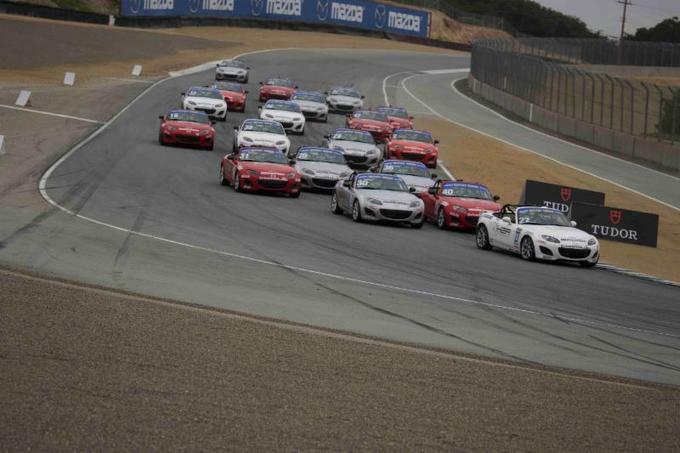 We can’t wait to see the action in May at Mazda Raceway Laguna Seca." “This is an unprecedented opportunity for all of us involved. I expect we will see one of the great races unfold before our eyes at one of the most prolific race tracks in the world. The opportunity to grow the talent in the Mazda Club Racer Shootout, building on the Mazda Sports Car Racing Academy, is of great interest. To have this event during the weekend when our prototype team, the Mazda Continental Tire Street Tuner teams, and the Battery Tender Mazda MX-5 Cup Presented by BFGoodrich Tires competes, along with showcasing the 2016 MX-5 Cup development car, will make for one exciting weekend. The opportunity to make a name for oneself has never been better,” said John Doonan, director of Mazda Motorsports. To register for the Mazda Race of NASA Champions or to see full details regarding the event including entry fees, event format, and event rules, please visit https://www.nasaproracing.com/events/2053. Napa Valley, CA – The National Auto Sport Association is pleased to announce Bryan Cohn as its new Technical Director of Competition. Bryan has been involved in virtually every position required within motorsports since 1983 and the wealth of knowledge and experience he brings to the table will be crucial as he takes on his new role within NASA. Mr. Cohn will help guide the development of class rules, manage series leaders, and ensure the rule revision process happens as quickly as possible. "I am really excited to rejoin the NASA team,” said Cohn. “When I made the move back in 2006, little did I know it was going to be a life changing opportunity. I look forward to serving NASA drivers again and enjoying motorsports with all the membership." 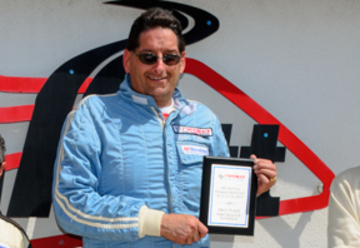 Bryan began racing in 1986 and has competed in over 50 different types of cars in 38 different classes including everything from entry-level single seaters, production cars, sports racers, formula cars, and he now currently races a Mazda Miata in the NASA Performance Touring E class. He has also run a successful automotive prep shop specializing in single seater and sports car preparation. His experience in the world of automobile racing is exemplary which will provide him with the tools required to get the job done. Look for Bryan at various NASA events in 2015. SE46 National Director Jason Tower states, “We are thrilled to see Spec E46 taking off as quickly as it is and are looking forward to many years of competitive spec racing. We've worked with racers, shops, and vendors to develop a ruleset utilizing components that yield a fun, fast, durable, and economical racing platform. Tightly regulated engines and a sealed spec ECU tune keep horsepower variance to a minimum, while high quality suspension parts and driveline components ensure that all of that power is put to good use. With donor cars available starting under $2500 it opens the door to close, exciting racing for beginning and experienced drivers alike" continues Tower.